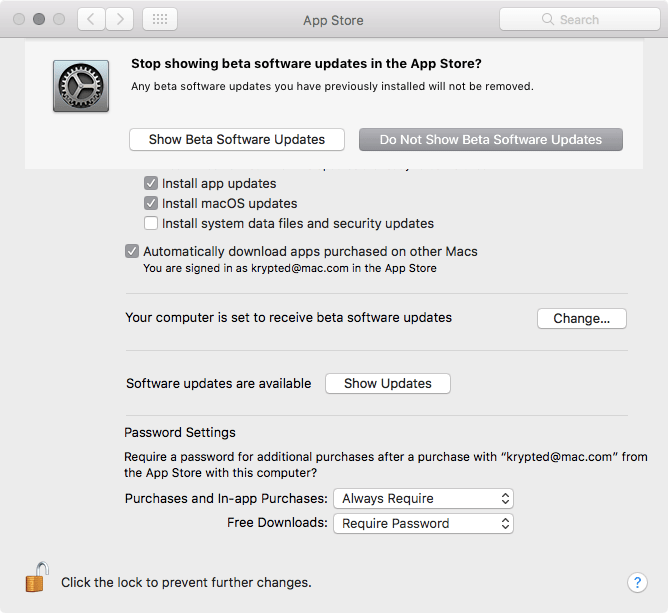 Once disabled, you’ll need to keep on top of updates in the App Store manually. My recommendation is still to create an image of your server before each update. If you see the field, click Change for “Your computer is set to receive beta software updates” and then click You can also set these from the command line. 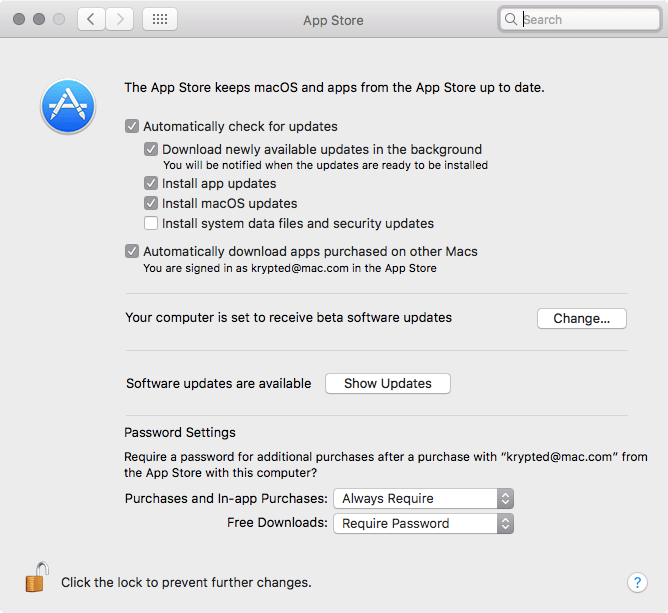 To disable automatic app store updates: defaults write /Library/Preferences/com.apple.commerce AutoUpdate -bool FALSE To disable automatic macOS updates: defaults write /Library/Preferences/com.apple.commerce AutoUpdateRestartRequired -bool FALSE And to disable automatic Software Update update checks: defaults write /Library/Preferences/com.apple.SoftwareUpdate AutomaticCheckEnabled -bool FALSE Overall, be careful with automatic updates. I like leaving checking enabled so when I sit down at the console of a server I get prompted to update; however, I don’t want servers updating and restarting unless I tell them to, after I’ve performed a comprehensive regression test on the updates.